Clockwork Tales: Of Glass and Ink Collector's Edition could be called a battle of the nerds (in a good way). The whole world is at stake. Your job is to outwit the evil supermind before another collapse. 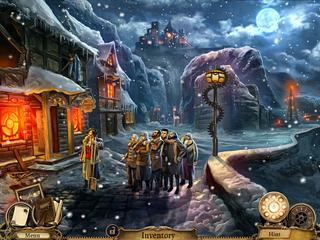 You are to expect quite a few hidden object scenes that are interactive and offer different kinds of searches. Earthquakes are hapenning across the globe and turn cities into rubble. You play as an extremely smart scientist who sets out to fint the one behind the catastrophes and stop him and the damage that he has been causing. It will be a long journey before it is possible because there are armies sent against you. The game's audio-visuals are very well done. The colors create absolutely beautiful sceneries and the voice overs make the story more impressive and personal. You can play the game in one of three modes. 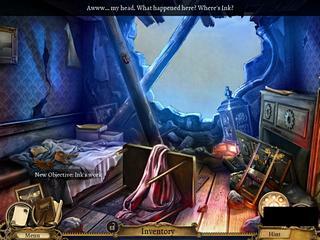 You are to expect quite a few hidden object scenes that are interactive and offer different kinds of searches. Sometimes you have to accomplish some task before you can go back and finish a hidden object scene. There are also various mini-games. They are not too difficult to solve, but quite enterraining. You get help from a crow when you nee dto reach objects that are far. There's a map and a journal to use as you travel. You whole journey takes up 9 chapters of the story plus a bonus one. The game is beautiful and interesting and challenging. Try the free version to see if you think the same. This is Clockwork Tales: Of Glass and Ink Collector's Edition review. Download this game here.